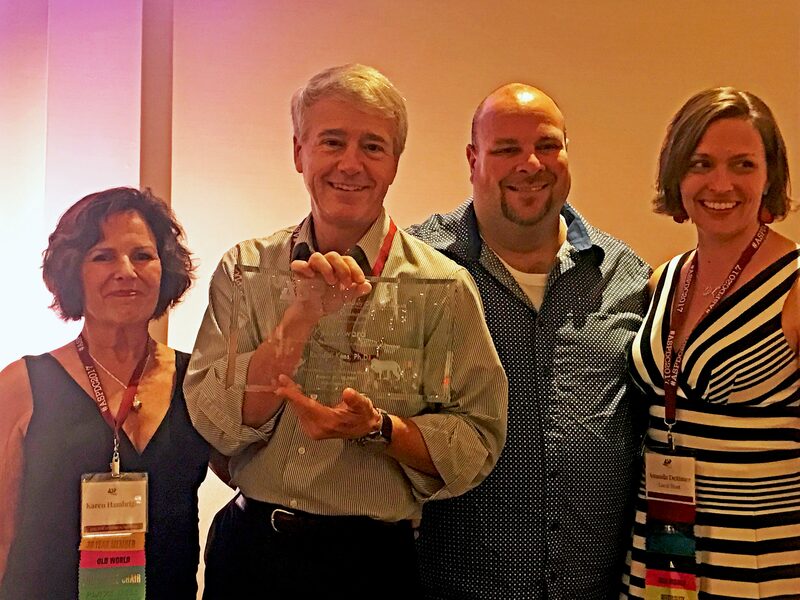 During the 40th annual meeting of the American Society of Primatologists last month (Aug. 2017), Randy Kyes, became the inaugural recipient of an award named in his honor. The “Kyes Award for Excellence in Educational Outreach” was created to recognize individuals who have made exceptional contributions in education and outreach in the field of primatology. “It’s a true honor to receive this award from ASP, and I share it with all my wonderful colleagues both locally and globally who have dedicated their lives to educating the next generation of scholars” said Kyes. Kyes and his colleagues have spent almost 30 years conducting annual field courses and educational outreach programs in conservation biology & global health for university students and school children (K-12). Kyes is also a research professor in the dept. of psychology, adjunct in the depts. of global health and anthropology, and head of the division of global programs at the Washington national primate research center, at the University of Washington.